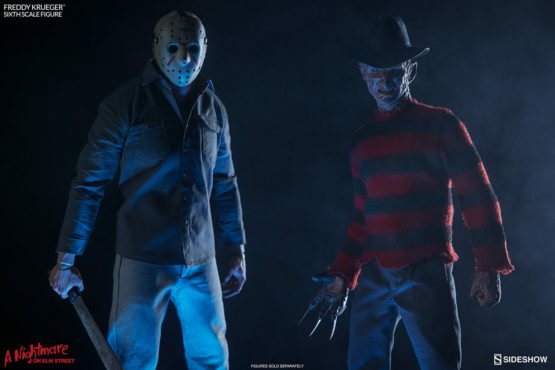 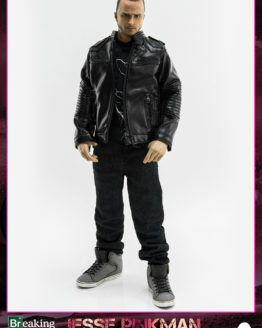 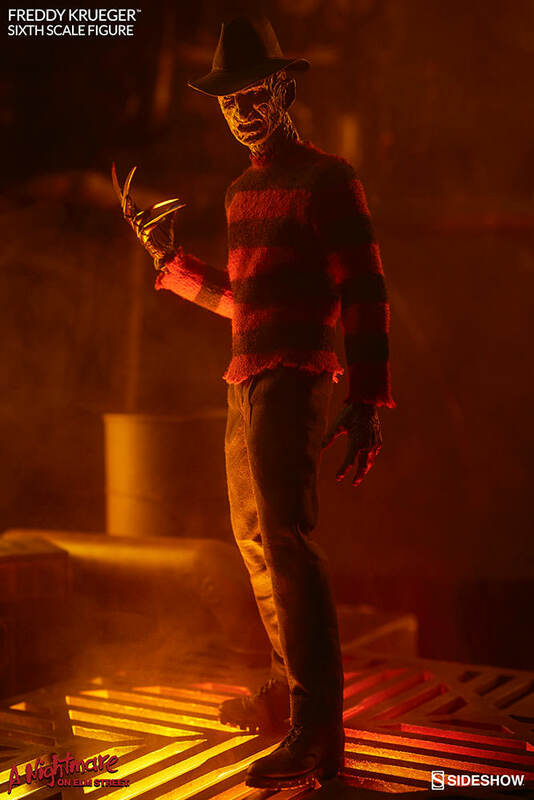 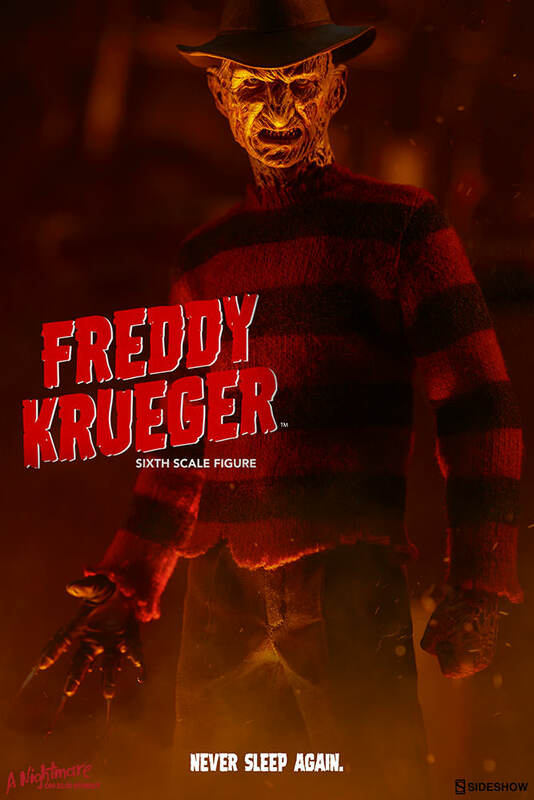 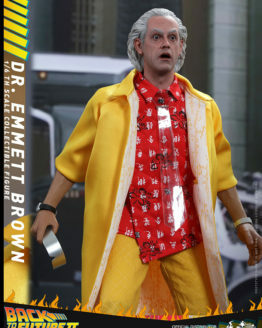 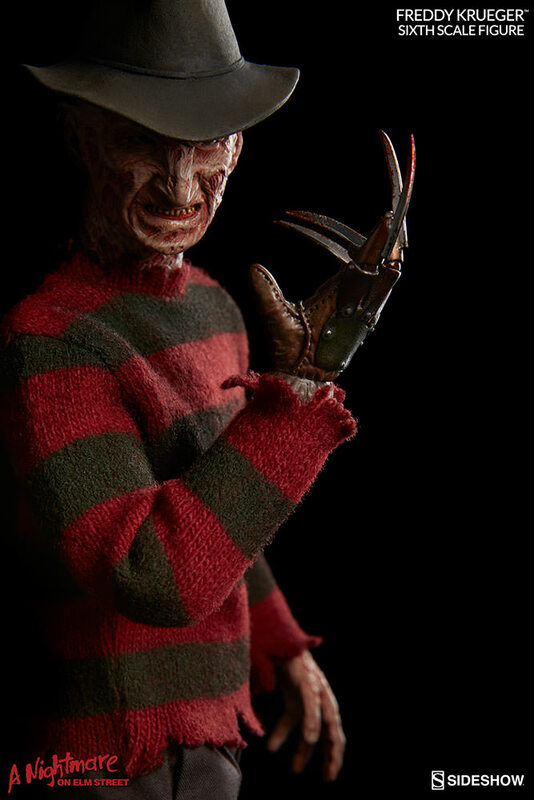 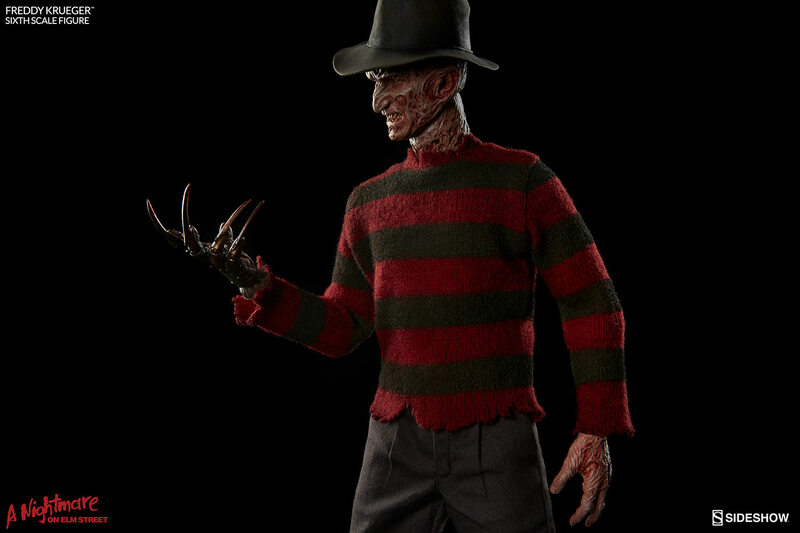 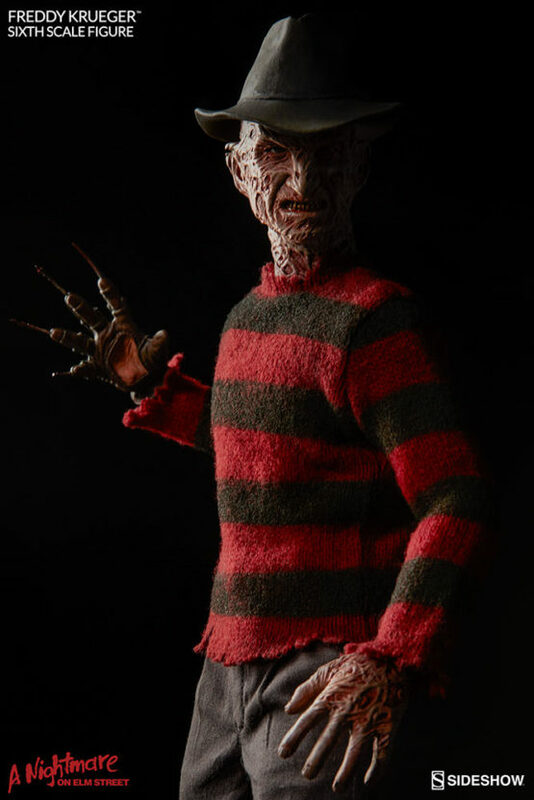 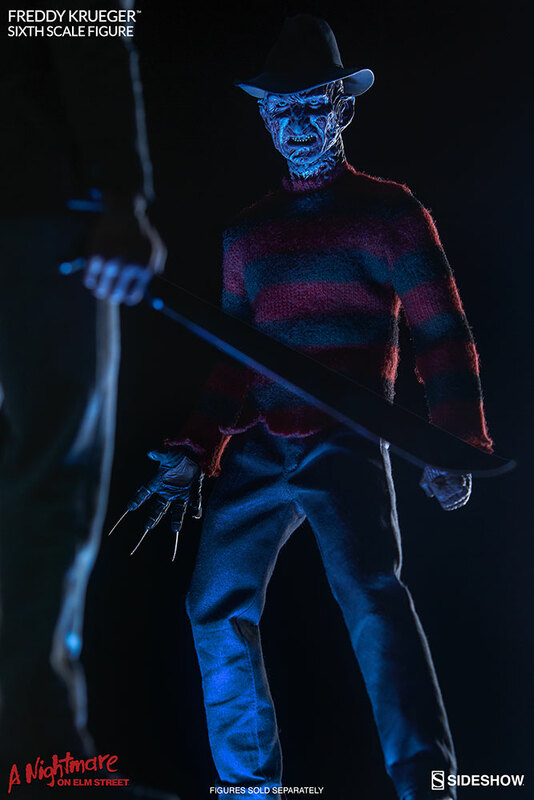 Having haunted our dreams (nightmares) for well over three decades, it only made sense that the next classic horror villain to be realized as a Sideshow Sixth Scale Figure would be Freddy Krueger. 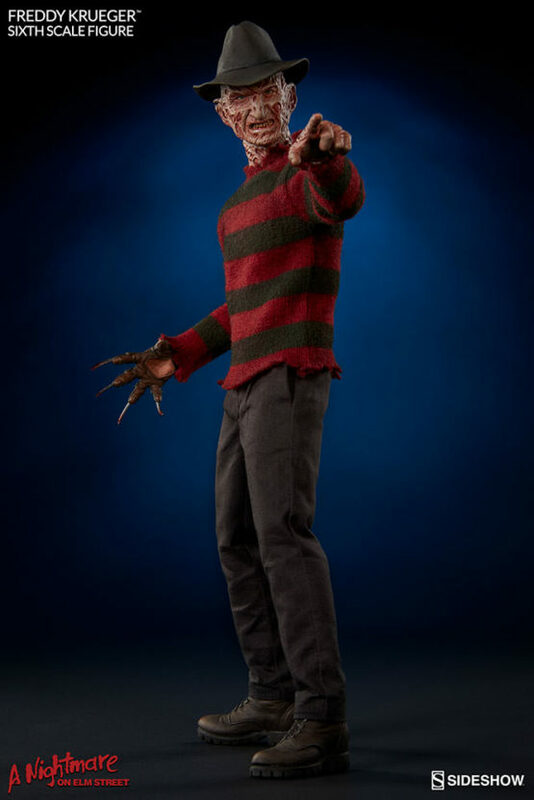 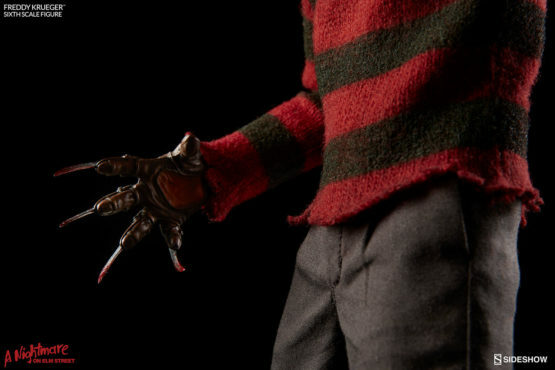 The Freddy Krueger Sixth Scale Figure is an amazingly accurate and detailed recreation of the monster’s look from A Nightmare on Elm Street 3: Dream Warriors. 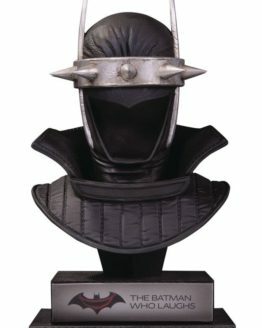 Beneath his trademark fedora is Krueger’s burned scowling visage and a fully-detailed cloth costume, including his iconic weathered striped sweater. 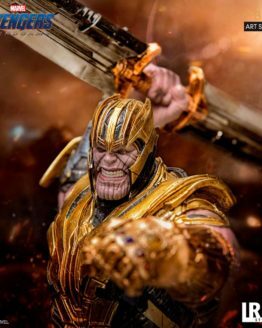 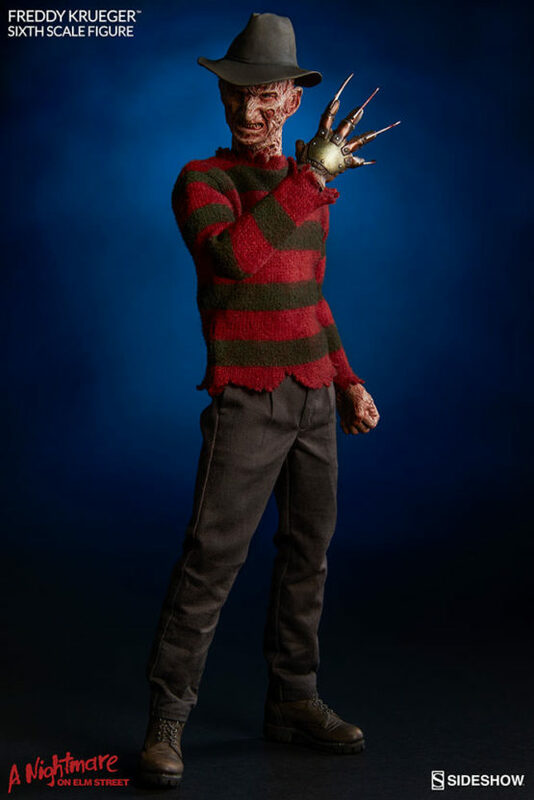 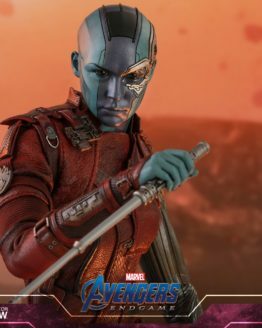 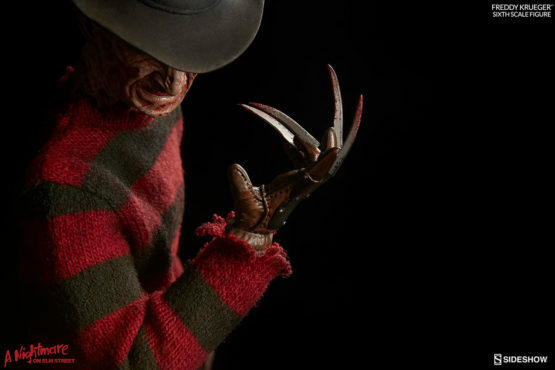 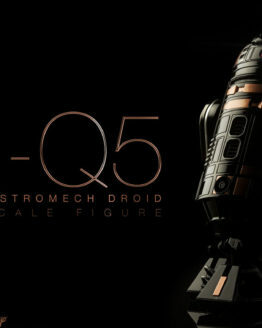 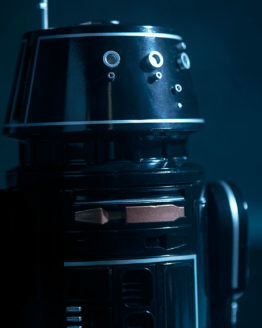 To offer collectors the opportunity to pose Freddy in unique ways, Sideshow is including two different takes on the character’s bladed glove hand – one open, one gesturing. 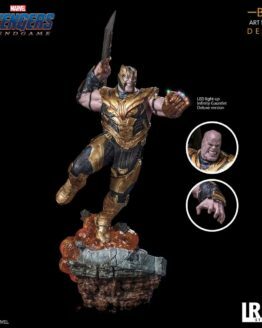 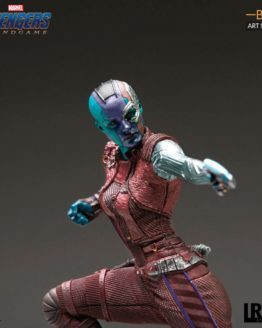 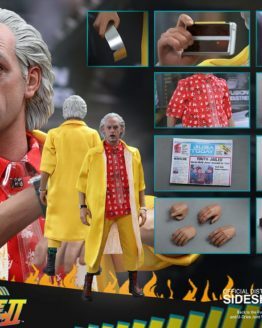 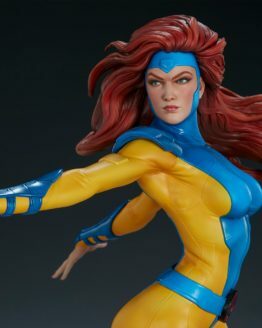 The piece also includes three ungloved hands – open, fist, and pointing. 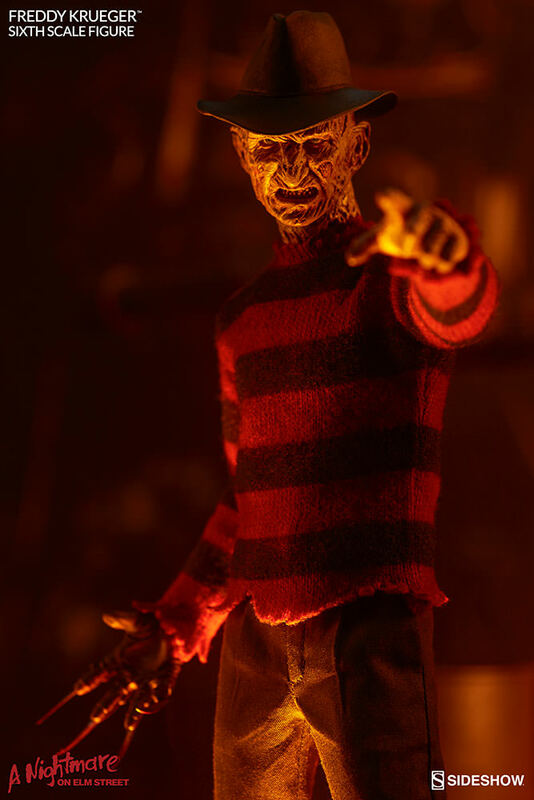 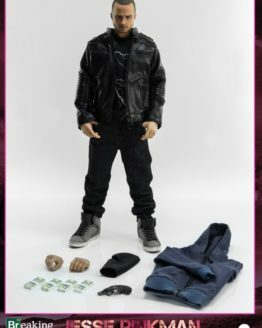 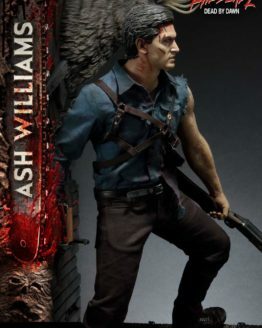 If you think that you can avoid sleep while having him in your collection, then be sure to pick up the Freddy Krueger Sixth Scale Figure before he crawls back into hell.